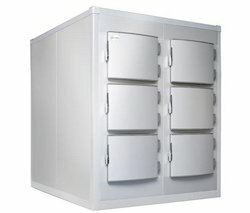 Offering you a complete choice of products which include 3 body steel mortuary freezer, 4 body mortuary chamber, six body mortuary freezer, stainless steel mortuary freezer, three body mortuary freezer and ss mortuary freezer. 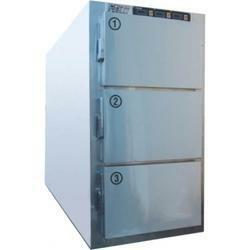 We are offering 3 Body Steel Mortuary Freezer to our clients. 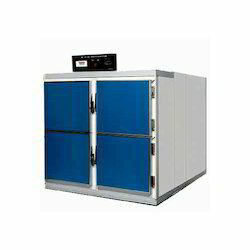 We are one of the trusted manufacturers of cold rooms, walk- in coolers & Freezers that are specially designed for chilling or freezing applications. 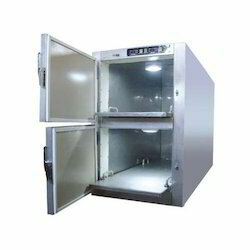 We are offering 4 Body Mortuary Chamber to our clients.We are one of the trusted manufacturers of cold rooms, walk- in coolers & Freezers that are specially designed for chilling or freezing applications. We are offering Six Body Mortuary Freezer to our clients.We are one of the trusted manufacturers of cold rooms, walk- in coolers & Freezers that are specially designed for chilling or freezing applications. 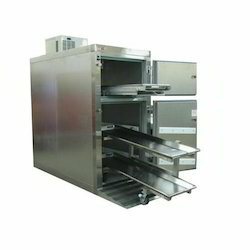 We are offering Stainless Steel Mortuary Freezer to our clients. 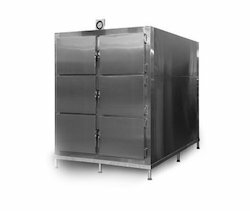 We are offering Three Body Mortuary Freezer to our clients.We are one of the trusted manufacturers of cold rooms, walk- in coolers & Freezers that are specially designed for chilling or freezing applications. 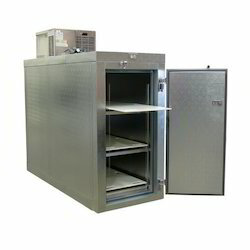 We are offering SS Mortuary Freezer to our clients. 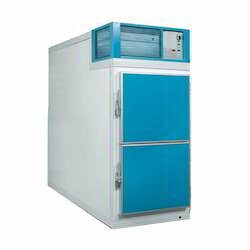 We are offering Two Body Steel Mortuary Freezer to our clients. 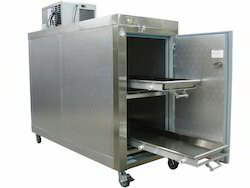 We are offering 3 Body Mortuary Freezer to our clients. 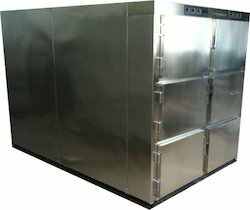 We are offering Steel Body Mortuary Freezer to our clients. 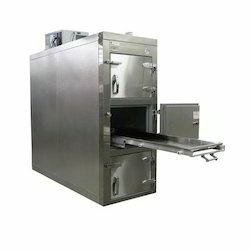 We are offering 2 Body Mortuary Freezer to our clients. We are offering Mortuary Freezer to our clients. Looking for Mortuary Freezer ?